GOAL Digital Academy and the Tomorrow Center are two of Ohio’s leading community schools. The Tomorrow Center serves students with severe emotional disabilities in grades 3-12, so student behavior can be unpredictable. 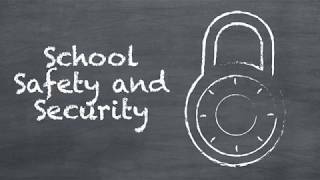 GOAL Digital Academy provides distance learning for grades K-12, meaning students are rarely on campus but equipment and critical records still must be secured. While each school has unique challenges, both need situational awareness to enhance safety and security. Status Solutions recommended SARA to provide centralized monitoring, alerting and reporting through integration with legacy alarm and communication systems. SARA enhances safety at the Tomorrow Center by powering mobile duress with teachers carrying the pendants on chains around the neck or on belt clips. Pressing a button transmits an alert to the main office or to cell phones carried by emergency response personnel. The automated alerting engine uses wireless sensors to monitor doors and windows of certain rooms at the GOAL Academy where valuable equipment and important records are stored. The threat of unauthorized access is minimized, but if a threat does occur, alerts instantly go to the appropriate staff.